Facebook’s Latest Changes, Impact Influencers and the Future of Social Media Marketing. Over the next few weeks, Facebook’s news feed will start showing fewer news articles, and less marketing content and ads, Zuckerberg wrote . Instead, users should start seeing more vacation videos from their friends, photos of family living abroad, and other more family-friendly posts about the people they know. It’s a major change for Facebook, which over the years has shifted from being a social networking service connecting friends and family to one of the world’s largest distributors of news and online ads. So Why is Facebook changing its news feed? To hear Zuckerberg explain it, the increase in news articles and marketing has created an imbalance that “is crowding out the personal moments that lead us to connect more with each other.” Based on Facebook’s internal research and outside studies, he said that people are generally happier and have a better “well-being” when they use social media to connect “with people we care about.” What “may not be as good,” however, is merely “reading articles or watching videos,” even if they’re informative or entertaining. Zuckerberg says Facebook has studied academic research and concluded that social media is only good for users’ wellbeing if they use it to “connect with people we care about”. In November, the company published a post that claimed “passive” social media use could be harmful, arguing instead for a more active and communal approach to the site. As a result, Zuckerberg says, Facebook wants to promote the sorts of posts that encourage those interactions, while demoting those its data shows encourage only surface interactions – likes and shares but little else. Some of The controversies Facebook has faced in recent years over its relationship with the news industry. For example, critics slammed Facebook (FB, +3.17%) for failing to prevent the spread of misinformation, dubbed fake news, on the news feed during the run up to the U.S. 2016 presidential election. The change will bring Facebook other benefits. By diminishing the influence of news media, it may be able to avoid a repeat of the bad press it received during the 2016 US election when it became a breeding ground for “fake news”, helping spread stories that misled millions. And the company has long displayed concern over the decline in “organic sharing” – users posting content about their own lives, rather than simply sharing links to the wider web or professionally produced videos and photos. Users are more likely to share details about their own lives if they see others doing the same, and so promoting organic content begets more organic content. Did Facebook do something like this before? In December 2013, Facebook changed its algorithm to promote “high-quality articles” over “a meme photo hosted somewhere other than Facebook”. In the process, it also took aim at publishers who produced content that was too appealing. The social news site Upworthy saw its traffic halve in the month after the algorithm change, a decline it has never quite recovered from. Similar changes have happened over the years as Facebook decided to focus on promoting “instant articles”, a type of Facebook native content; to pivot to promoting video; to pivot from video to live video; and to pivot from live video to Facebook groups, the company’s most recent attempt to build a stronger sense of community. How will Facebook’s News Feed change affect your business? Although this news may be surprising to some people, in reality, organic reach from Facebook Pages has been steadily declining for years. Some sources estimate the current organic reach for Facebook Pages to be as low as 2% (Hubspot). To put this in context, if you publish a post on a Facebook Page that has 100,000 fans, only 2,000 of those fans are likely to see it. As Zuckerberg explained, Facebook users generally don’t log in to Facebook to see content from businesses, brands, and media. They want to see posts from their friends and family. Facebook’s main source of revenue comes from advertisers. If you’re a business with a Facebook Page, and you want more Facebook users to see your content, you have to pay for that privilege. With Facebook clamping down on media within the news feed, these executives have legitimate concerns that it could impact how much money publishers can make from custom and sponsored videos. For instance, the cost models for branded content will likely change. It will cost more to run paid campaigns to seed videos in front of users in the news feed, which will cut into profit margins of every business. 1.Build your audience on multiple platforms. If you’re building your audience online, make sure you that you’re diversifying that audience across multiple platforms. Our audience on social media, for example, is spread across multiple platforms including Facebook, Instagram, Twitter, and YouTube. If any of these platforms decided to restrict our reach (or shut down entirely), it wouldn’t be detrimental to us because we’re not relying on any single one of them to reach our audience. 2. Encourage engagement on your posts. Facebook favours posts that are getting lots of engagement (likes, shares, reactions, comments). So if you encourage your audience to engage with your post, Facebook will show that post to more people. 3. Use Facebook ads the Correct Way. If you’re posting content on your Facebook Page often, wait at least 24-48 hours to see which of your posts get good engagement. Use Facebook’s boost post option to help a post that is already getting engagement get even more engagement. If you boost a post that no one is engaging with, you will be penalized with high ad costs. Boosted posts and ads that add value to your target audience and get engagement will outperform ads that don’t. Going straight for the sale on Facebook rarely works. Instead, direct your audience to free content, downloadable resources, webinars, etc. Get them off of Facebook and on to a platform that you control (like your website or email list) before you try to sell to them. 4. Create a Facebook Group for your audience. Instead of trying to get more fans for your Facebook Page, create a private Facebook Group for your audience and/or customers and start directing people to your group instead. Groups are much better environments than pages for engaging with others and building community anyway. 5. Build an asset that you can control. Despite how much of a presence you establish for your business on social media, it’s important to remember that you do not own or control these platforms. Therefore, changes are beyond your control (like the one that just happened!) can affect your ability to reach your audience using these platforms. As you build your audience on social media, make sure you are simultaneously building an asset that you can control: your database. Whether by collecting email addresses, phone numbers, or even physical mailing addresses, always be building a database of prospects and customers that you can contact directly. 6. Focus on customer success. Lastly, never lose sight of what should be your uttermost important priority: helping your customers succeed. Successful customers are happy customers, and happy customers tell other people about your business. They become your biggest advocates. Word-of-mouth marketing is alive and strong, especially on social media. Instead of asking: how can you reach more people using Facebook? Ask: what can you do to make your existing customers more successful? How can you make sure they’re getting the result you promised them when they purchased your product or service? How can you make them feel support and a part of a community of like-minded people that share the same interests and want the same results? As for me, I believe this announcement means that the need to build a true community on Facebook will be more beneficial than ever. Although this change is going to affect marketing strategies everywhere, the industry as a whole should embrace and mirror the efforts Facebook is making to continually satisfy their customers. Content marketers and people who can create engaging video and content for social media just went up in stock value BIG TIME. This is also great news for chatbots… They allow brands to create that individualised experience that Facebook is looking to provide. Don’t panic or get annoyed. Remember that this change is happening to everyone at the same time, so be appreciative for the opportunity it creates. Invest in communities (i.e. Facebook Groups). Like all channels that are originally built on the back of early direct response pioneers, Facebook is making the pivot toward branding. Written by Prisha Debipersad, Prisha has a love for travel and has lived in Germany and Australia, gaining work and life experience along the way. Being proudly South African she is happy to be back on her home ground. She currently is completing her masters degree as well as providing valuable support to Prana as a Marketing Assistant. .
A month into this New Year, and we can see some great and dynamic trends hacks and ideas for and innovations emerging for Marketing and Branding in 2018. Yes, 2018 will see quite a few new trends emerging, although some of them will really be reiterations of some trends we have seem emerge across the last couple of years. Here are some trends you need to follow and keep track of, to stay on top of your brand’s digital marketing game and international game. This is my huge one for 2018. Digital will no longer stand alone as a separate discipline. It really just cannot anymore. The digital landscape has transformed the way people communicate, share information and receive their advertising. Digital marketing can be integrated into all traditional methods of advertising and PR, making it an engagement marketing essential. When the physical world taps into the digital world, the “phygital mashups” that are created can really hit your audience in a deeply engaging way. When people interact with a brand in a personal way by participating and engaging, they are far more likely to become brand advocates and word of mouth marketers. In order for ‘digital’ to work, it will need to be seamlessly integrated into real-life experiences – and this will really be this whole ‘experiential’ trend that everyone is talking about. In particular, at sporting events, at concerts, we are seeing the online and mobile experience leading into the actual physical – and, as well, blending the two, often with AR and VR playing a key role. This will become big. Before smartphones existed 10 years ago, most people would consider spending five hours daily staring at your phone as crazy. In 2018, the bent-neck trend will start to reverse itself. AR will customize in-store experiences with mannequins that match your body type and display enough virtual inventory to rival any online site. Merchants will create AR experiences with their packaging so that demonstration videos can appear when you look at the product on the shelf or celebrity spokespeople can magically stand in the aisle to pitch the product. Virtual pop-up stores can be built to appear anywhere that crowds are gathered (in a stadium, a busy street corner, or even inside a subway). The number of use cases for AR is potentially staggering. Users could place virtual furniture in their homes before they buy to see how well it fits within the actual space (which IKEA have already done). Augmented glasses could highlight only gluten free items to the user when walking around a supermarket, saving people time picking out suitable products. And, more generally, overlaying more information about products as customers walk round physical stores or look at the product in public spaces could prove to be a powerful conversion tool. How much of an impact AR will have to the average brand going forward remains to be seen but, at the end of 2018, we should have a much better idea. AR (Augmented Reality) will be a lead in Social Media -Brands on social media will need to take a serious look at using AR. With our smartphones becoming more powerful, social platforms will start to integrate AR technology, and this will enable brands to use AR and social in interesting new ways. As digital marketing has developed and content marketing has emerged as a leading element of it, the world has unfortunately become awash with second-rate content. Today, any digitally savvy brand is aware that it should be putting out content for its audiences to engage with, but far too many forget that this content should offer legitimate value to those viewing it. Anyone can consistently put out 500-word articles repeating everything their competitors are saying, just to be part of the conversation. Ask any marketer if they plan on producing more content in the coming year and the answer is likely to be a resounding yes. 2018 should see a shift in the mind-set of content marketers. Yes, brands should be creating content that engages and inspires their audiences, but the mentality of ‘more is always more’ needs to change. Instead, organizations should focus on putting out quality, relevant content, even if this comes at the expense of volume. It might be an idealistic cry from commentators in an attempt to slow down the huge tide of unnecessary content but, as poor content will undoubtedly perform badly, 2018 should be the year that brands realize the power of ‘less is more’. 4. Video marketing has arrived and here to dominate. Video is the most popular and influential form of digital content for digital marketers today, and it holds the power to persuade better than any other content medium. With attention becoming an expensive commodity, what with multi-tasking, brands will need to re-focus energies on video content – to get better search ranking, better engagement and better content recall The demand for video marketing content shows absolutely no signs of slowing and in 2018 video will continue its dominance as the marketers’ favorite medium. 52% of marketing professionals surveyed by Hubspot consider video to be the medium with the best ROI, while 43% of consumers said that they wanted to see more video content from marketers. This year, Facebook rolled out 6-second ads, which encouraged brands to tell stories within extremely limited time constraints as a way of getting a message across to the user more quickly. The rise of video consumption on mobile means that, while scrolling through a feed, users’ attention spans are minimal. YouTube has been promoting its own 6-second stories to show what can be achieved in that time, and expect to see brands experimenting with playful storytelling in 2018. Video is as ubiquitous as it is effective – 2018 should see brands working hard to stand out among the noise. – And, make that Live Video. Every social platform now offers some form of live video – and most are trying to out-gun each other will various new features and ways of using live video. To really best utilize the power of live video, it will need to be high quality, delivering content that has value for the consumer, and be structured and organized – while still, of course with the reality of it being live. That’s going to ba a challenge, but with advances in technology, and better pre-planning, I’m convinced good content creators will win this game. Mobile video ad spend will grow 49% to roughly $18 billion in 2018, reports Recode, while non-mobile video ad spend is expected to fall 1.5% to $15 billion. You can expect to see a decline of video consumption on laptops and computers for the first time — while video views on phones and tablets is expected to grow by 25%. The average viewer is expected to watch 36 minutes of online video per day on a mobile device, as opposed to half as much — roughly 19 minutes — on a computer. We all have gotten use to speaking with bots whenever we call to make airline reservations or to confirm our bank account balances. The use of natural language bots will expand from use as automated customer service agents to become routine for daily living. Home bots will do more than just respond to requests, to being able to provide timely information such as, “It’s time to take your medicine.” Imagine a bot whispering in your ear “don’t make that purchase or you will be over your credit limit” or “your parking meter expires in two minutes.” Bots will help with the children, act as financial investment advisors, and be an omnipresent value-add from the brands you trust. Watch out for more adoption of brand-customer or brand-audience conversations (see voice marketing, later) using platforms like Google Home, Amazon Alexam Microsoft Cortana and more. I’m beting that this aspect will become part and parcel of our lives – and speaking to a connected device in our moment of need (Google calls these micromoments) will be commonplace. As technology better grasps natural language processing, this will make it second nature for us. Think of micro-influencers as digital influencers with a total audience size of between 1,000 and 100,000 followers. Surprised with the audience size? There’s data to support it: Micro influencers are 4x more likely to get a comment on a post than are macro-influencers (who usually have ~10 million followers). Micro-influencers are more likely to post about specific niche topics and they have the loyal followings that share their passion and a staggering 90% of consumers trust peer recommendations and only 33% trust ads. With more than 32% of internet users enabling ad blocker in 2017, it’s increasingly harder to reach users and micro influencers can bridge that gap moving into 2018. With voice search increasingly taking over the way we search, with our mobile phones now almost surgically attached to us, voice as a marketing tool should really come into its own this year. We are increasingly going to ask our phones, our cars, our smart fridges to do things for us, and brands have a huge opportunity to stand by, and become a handy resolution provider at that time of query or need. This will be a whole new kind of content marketing. Imagine shooting zombies while walking in your own bedroom! Thus, the biggest use of AR gaming to-date is definitely Pokémon Go, allowing users to catch virtual Pokémon creatures that are hidden throughout a map of the real environment. What to Expect from Augmented Reality? Combined with big data and machine learning, AI is expected to make a huge impact on how we market to our consumers. Users can expect highly-customized content delivery, automated based on their persona and lifestyle. Starting an AI strategy can be costly and require specific skill that are often hard to come by as the role is in such high demand. However, the large upfront investment shows promising results for those willing to take the plunge. For example recent data captured from the Salesforce State of the Marketing Report where high-performing marketing teams are more than 2x as likely to use AI in their campaigns than under-performers. 57% of marketers using AI already say it’s absolutely or very essential in helping increase touch points with customers. With nearly 22 million hectares of land used for organic farming, Australia is the world’s leading nation when it comes to the greatest amount, as well as greatest expansion, of land dedicated to organic production. It has more land than Europe, Africa, and North America collectively. The great majority of it is used for breeding grass-fed beef, but Australian organic sector is also producing wine grapes, grains, fruits, vegetables, herbs, and nuts. The idea of producing healthy, chemical-free food quickly grew into the grow-your-own-food movement, so garden owners started adding edibles to their gardens. Besides veggies, fruits, and herbs, they also keep chickens and bees for eggs and honey. Some are growing hops and grapes to make their own beer and wine, while others have taken things one step further by harvesting rainwater for irrigation purposes. Certain plants are also grown for their medicinal properties. Target has been leading the charge on natural beauty since 2008. Since then they’ve offered natural and “better for you” brands, including Burt’s Bees, Yes To, Pacifica, Seaweed Bath, S.W. Basics, W3LL People and Fig & Yarrow. “This year, we’re rolling out a new beauty store experience and are dedicating prominent space near the centre of the beauty department to natural beauty offerings,” said Courtney Foster, a Target spokesperson. In addition, they’ve launched a natural beauty page to make finding naturals products easier. “Given how important it is for our guests to what is in—or not in—their products, Target recently implemented a new chemical strategy that is one of the most comprehensive chemical policies in US retail. This policy promotes ingredient transparency and bans certain chemicals in beauty, baby, personal care and household cleaning product categories by 2020,” Foster said. Another example is Unilever. It has emerged as one of the most progressive players in the natural beauty space. Earlier IN 2017, the company promised improved transparency in its ingredient lists, specifically lifting the veil from “fragrance,” one of the most mysterious items on a product’s ingredient list. At present, manufacturers selling products in the United States aren’t required to disclose the ingredients that go into the fragrance under the guise of “trade secrets,” but many natural beauty companies do anyway, and by the end of this year, so will Unilever. Natural deodorant is another hot topic, which is projected to grow more than 15 percent every year until 2022. Procter & Gamble got a head start and acquired buzzy brand Native, which is aluminum- and paraben-free. Like Unilever, the corporation vowed to disclose the ingredients in “fragrance” by the end of 2019. Webb’s research points out 90% of college grads felt “lost in translation” when they started that first job because boundaries to get tasks done are traditionally much more defined in the real world. Small businesses will continue to move away from the conventional 9 to 5 regiment that comes with a cubicle to a more negotiable looser set of standards that mimic college life. Office fit outs are about creating a home away from home feeling. This is done by providing cosy, welcoming lounges, communal canteens, and comfy break-out areas. This helps make the working environment better which helps to make employees feel more comfortable and valued. Furniture that is used in most residential settings is now being used in office spaces that ultimately create a warm, eclectic, never-want-to-leave-the-office feeling. Also, Wellness programmes encourage physical and mental health. Work gyms, showers and breakout areas that provide complimentary healthy refreshments are some of the few offerings that can create greater employee satisfaction. That’s just the top trends for 2018and some of these predictions will probably fail to come to fruition as technology and the expectations of consumers change. Nevertheless, many of the trends outlined here are likely to come to pass. Based on current trends, marketing is likely to become more analytical, and more focused on digital marketing through organic search, voice and social media. Do share this, and comment below. Thanks. Have a wonderful and meaningful 2018. E-commerce brands are introducing bricks and mortar stores. Most famously; the Amazon Book store. The first one in NYC is a cool 4,000 square feet with 3000 books on the shelves. Among its phygital marketing strengths are arranging the books according to data, Good Reads recommendations and Prime Member discounts. Plus, while you’re there you’ll get sidetracked by the Amazon electronics on sale. 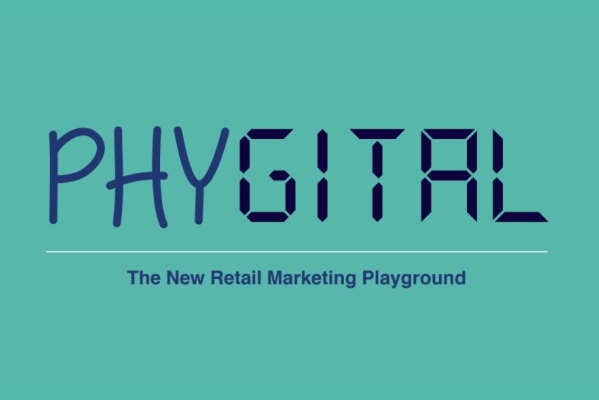 Digitalist KRS Jamwal, summarises where we’re going with phygital: “The second wave of digital will be ‘phygital’—a combination of physical and digital, commonly called ‘omnichannel.’” Online brands are flexing their muscles in the real world. There are growing examples of this. Forbes.com, calls Warby Parker the “Poster Child for the Store of the Future” and it’s one of the most interesting retailers to embrace the “clicks and bricks” trend. Plus the Google Pop-Up stores, which opened their domes on 19 October. Now you can Daydream in their virtual reality station, for real. South Africa is among the top performing global markets in the retail sector. In the last 10 years (measured up to December 2016) South Africa and Hong Kong were the only two countries in the world that delivered double digit total returns on retail property, followed by Canada at 9.8% and Singapore at 9.2%. Prana Business Consulting is a full outsource marketing agency. Prana drives high performance and tangible results in marketing, branding, CRM and digital solutions. Prana partners with the best niche partners in the industry to drive end to end solutions. Prana specializes in solutions for baby, beauty and health care brands. Prana is a level 3, BBBEE certified company.